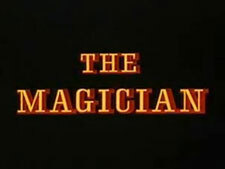 The Magician: Mystery and Suspense on Television. Bill Bixby stars as Anthony Blake, an illusionist who uses his skills of misdirection to solve crimes in this NBC series. Bixby, an accomplished amateur magician himself, performed all the magic depicted on the series (pilot excluded) without the use of trick photography.